On 4 September 2018, I attended the 55th Stammtisch of the Convention Bureau Karlsruhe and the Region. 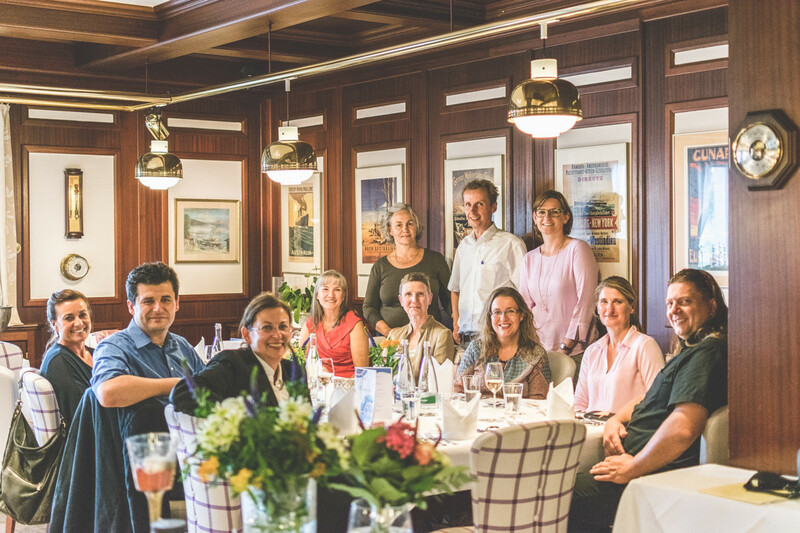 This event took place at the Hotel Restaurant Steuermann in Karlsruhe and welcomed regional partners for informal networking. A regular networking event, termed the German ‘Stammtisch’, has established itself in Karlsruhe and the region over recent years to become the main meeting point for all regional partners who work directly and indirectly in the MICE industry. These meet-ups take place every two months at a different location and over dinner, partners can exchange their experience and ideas, network and strengthen relationships. These events, as a result, foster regional MICE offerings. Karlsruhe is one of the little gems that meets all the requirements of a savvy business traveller. The destination is centrally located in Europe with good connectivity, modern venues, large hotel capacity, nearby leisure attractions, rich cultural offerings and a strong expertise in sectors such as education and technology. The September meeting took place at the Hotel Restaurant Steuermann and we were hosted by the owners Birgit and Jeremy Cole. The family-owned property with a restaurant and 30-bedroom hotel was started over 40 years ago by Birgit’s family. For the last seven years, the couple have been managing it together with their parents, and since the beginning of the year, they have taken over full management, to continue the family’s tradition. Both Birgit and Jeremy come from an international tourism background, and have studied, lived and worked in London, Dubai and Hong Kong, to mention only a few. It will not go unnoticed that the restaurant has a maritime theme, with decor of boats, fish, anchors and other ornaments. The venue is close to the industrial area and the Karlsruhe Harbour, and that was the inspiration to adopt the maritime style. Due to its proximity to the industrial area, the main customers are business guests who come to Karlsruhe for business as well as exhibitions. The partners who participated in the meet-up in September include: AV Data, Hotel Campus Selfness, tac office marketing e.K., KTG Karlsruhe Tourismus GmbH, Der Paritätische Baden Württemberg, Stadt Ettlingen, Il Fantastico, Schwarzwaldstrand and AAGLANDER Motorkutsche Baden-Baden.